Copy Blank Site and give it a new name/ID... this is just a shell... nothing special in it (I like to remove the WSS 3.0 logo from the default page so it really is a Blank Site, not a Not So Blank Site). Create Features and associated stapling Features, stapling to the new site def. Now you have a site def you can change after creating sites with it (by activating/deactivating stapling Features) and it's easier to build in a modular fashion. Create content type(s) - I don't like adding columns to lists... I use content types for everything... and I mean EVERYTHING. Even if it is going to be used in just one list, I still use content types. Create these guys in a Feature for the most portability and reuse. Create the list template's schema - Now for the nasty part everyone tries to avoid. 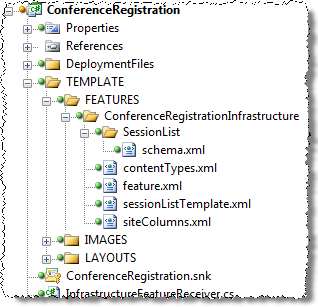 Create a subfolder in your Feature with the name of the list. Now you need the list schema... here is where you are going to cheat and save time! 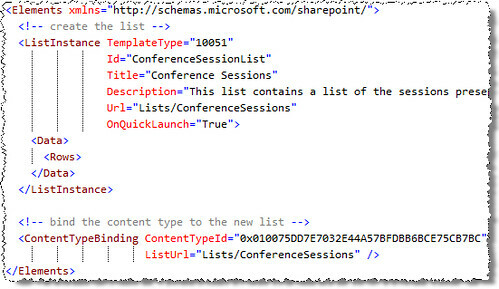 Copy the schema.xml file from the OOTB Custom List template found in the Feature CustomList. 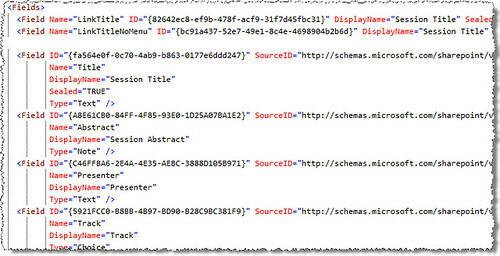 Put that schema.xml file in your Feature, within the folder you just created. 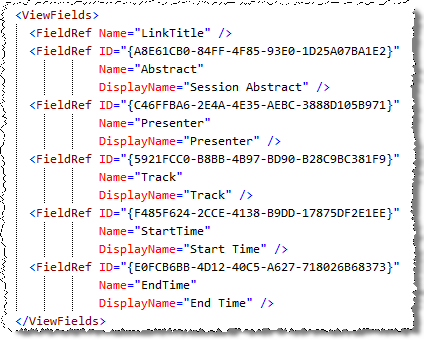 Why use the schema.xml file from CustomList? Great question: because it is the most bare bones schema file out there... it has the absolute minimum stuff in it (ie: fields, content types and views) you need to implement a list. I like starting from it and making a few tweaks. So now you've got a brand new custom list template in just mere minutes! But what if you want to have some custom list views? This isn't so bad... instead of creating them from scratch, use an IDE: the browser! 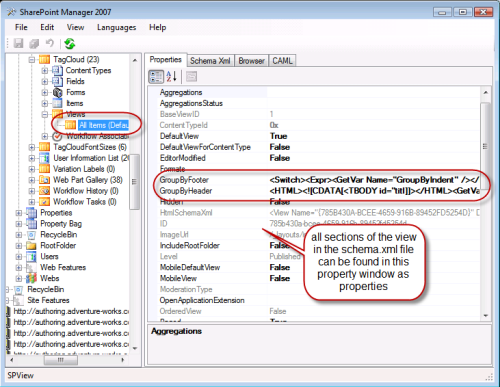 After creating the view using the browser, use a tool like SharePoint Manager 2007 to get the source of the view and manually add it back into your schema.xml file. Now, to test your view by deleting all instances of the test list, deactivate the Feature and uninstall it... remove all instances of it. Now, try it again. Using this process I've been able to create list templates complete with two or three complex views in less than 15 or 20 minutes. Not so bad eh?